Epidermolysis Bullosa (EB) is a rare genetic diseases skin tissue. The skin of people suffering from EB becomes fragile. This can lead to the blisters and wounds are very difficult to heal. Symptoms related to this disorder such as blistering of skin, toenails, deformity or loss of fingernails, and internal blistering such as throat, stomach, esophagus, intestines and urinary tract. Also, it witnesses the skin thickening on palms and soles of feet. The epidermolysis bullosa therapeutics market report is wished-for helping the readers for discovering the prevailing trends and estimate future opportunities for extensive growth. It includes fresh data for tracing growth opportunities and key threats. It includes the information on competitive threat in an important part of the epidermolysis bullosa therapeutics market report. 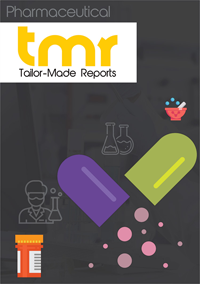 The epidermolysis bullosa therapeutics market reports also analyze the revenue share, growth rate, status, market drivers, opportunities, future trends, and challenges. Growing funding for research on epidermolysis bullosa is key factor driving the growth of the epidermolysis bullosa therapeutics market. Additionally, available medications for the treatment of epidermolysis bullosa have some serious side effects. Thus, the market is witnessing high investment in the private organizations and various governments sectors for development of the promising therapeutics which ensures safety and efficacy. This is resulting to development of novel therapeutic drugs, which ensures safety of the patients and lowers the possible side effects due to the drugs used for the treatment of epidermolysis bullosa. Growing introduction of newer drugs is propelling growth of the global epidermolysis bullosa therapeutics market. However, withdrawal drugs are failing to meet expectations, which are restraining growth of epidermolysis bullosa therapeutics market. The global epidermolysis bullosa therapeutics market is segmented on the basis of product and region. Based on the product, the market is segmented in to Antibiotics and Analgesics. Of these, antibiotics is expected to dominate the global epidermolysis bullosa therapeutics market. This growth is attributable to the recent approvals of broad-spectrum combinational antibiotics. Regionally, the epidermolysis bullosa therapeutics market could be segmented into North America, Europe, Asia Pacific, Latin America, and the Middle East & Africa. Of these, Asia Pacific is expected to be dominant region interns of demand and consumption over the forecast period. Some of the leading companies operating in the global epidermolysis bullosa therapeutics market are Amryt Pharma, Johnson & Johnson, Fresenius, Novartis, and Pfizer.